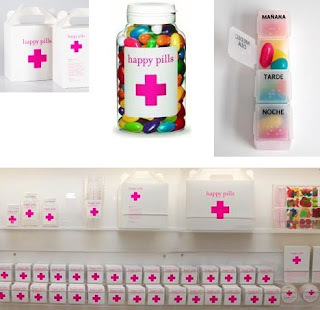 A candy store (and associated product series) designed by Studio M in Spain to treat the more mild forms of day-to-day depression in casual shoppers. 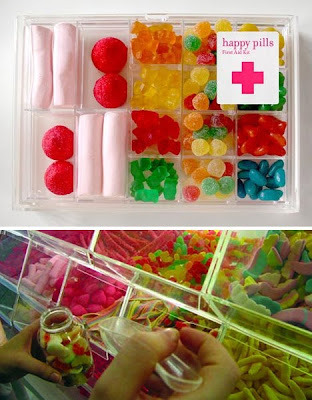 From the products to the packaging, everything is themed around prescription medication – pill-shaped sweets, boxes, containers and entire to-go cartons for the most serious of cases. 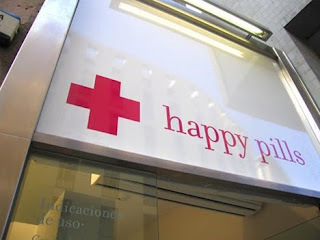 Great site about Happy Pills!? Sweet Happiness in Sugar-Pill Supplements,this information really helped me , I really appreciate it,I will visit when ever i have found the stuff That i have been searching for in all the web for, keep up the great work!